For small and emergency repairs. 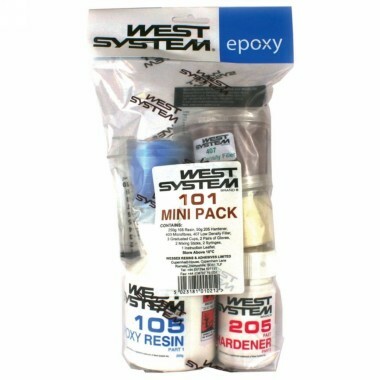 1 x407 West System Mini Pack 105 Resin 250g and 100g 205 Hardener. Contains a selected mix of materials used to complete smaller repairs around the boat, in the workshop or at home. Contents include: 250g 105 Resin, 50g 205 Hardener, 403 and 407 fillers, dispensing syringes, application tools, gloves and instructions. WEST SYSTEM 105 Resin 105 Resin is the base material of the WEST SYSTEM product range. The resin is a clear, light amber, low viscosity epoxy resin. 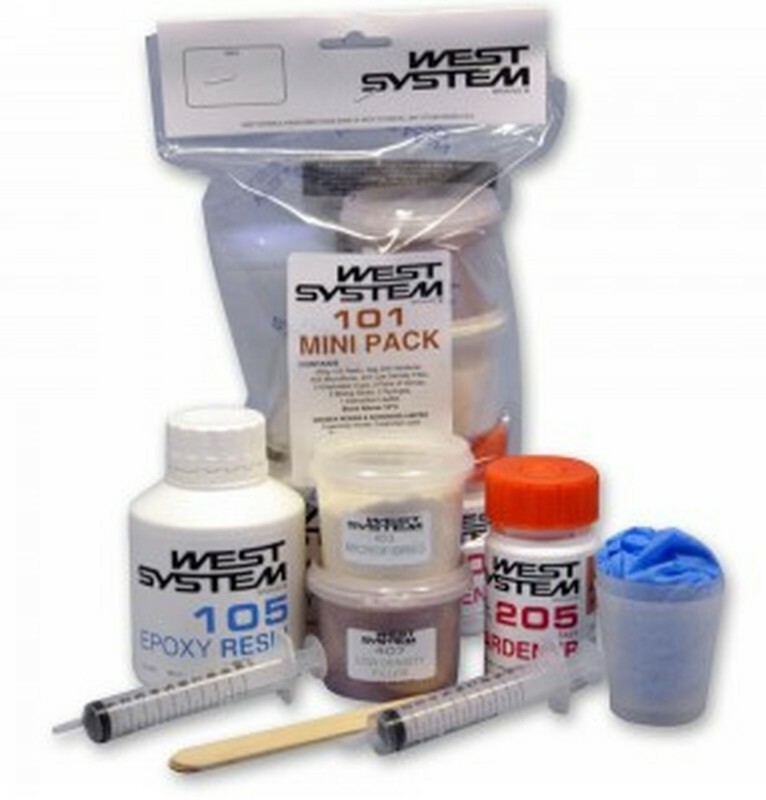 WEST SYSTEM 105 Resin is designed specifically for use with WEST SYSTEM hardeners. WEST SYSTEM fillers or additives may be added to the epoxy resin and hardener mix to modify the epoxy to suit a range of applications. 205 Standard Hardener 205 Hardener is used in a majority of situations to produce a rapid cure and results in an epoxy which develops its physical properties quickly. When mixed with 105 resin, the cured system yields a high-strength, rigid solid which has excellent cohesive properties and provides an outstanding moisture vapour barrier with excellent bonding and coating properties.